Construction: The sole is cemented to the upper. Material: A lightweight, full-grain leather, with a soft feel. Sole: The original Dr. Martens air-cushioned sole, providing underfoot comfort and durability since 1960. It is oil- and fat-resistant, tough and offers good abrasion and slip resistance. The Delaney boot brings self-expression to fore for tiny feet. 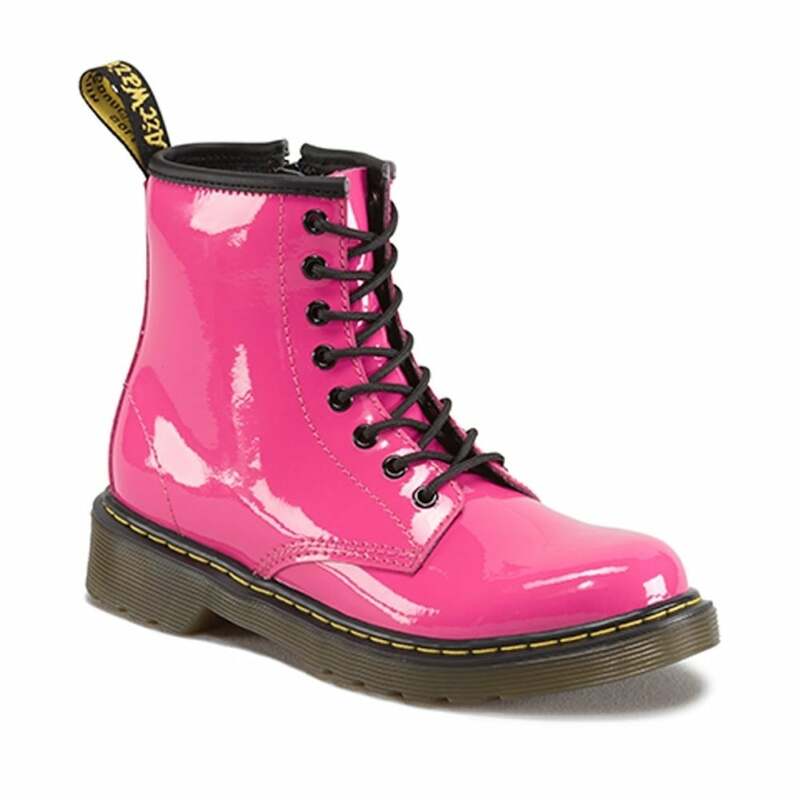 Take all the best bits of the classic adult 8-eye boot and fuse it with awesome colours. Air-cushioned soles, faux welts and our self-scripted heel tag mean these are made for running about in, plus there's a secret zip fastener to make getting them on as easy as taking them off. Clean Away dirt using a damp cloth, allow to dry apply a clear wax based shoe polish to restore shine as desired. In the event of heavy scuffing or loss of colour then clean as before but add a matching coloured wax based shoe polish and buff up the leather with brush and cloth as required.